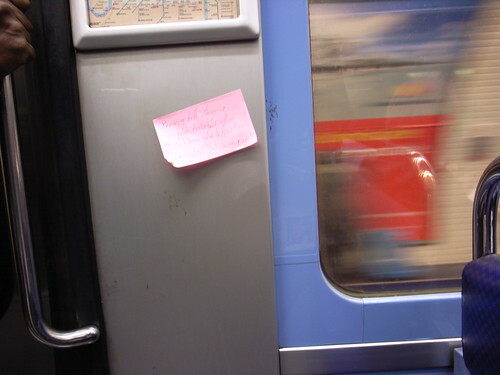 Metro post-it, originally uploaded by nicolasnova. 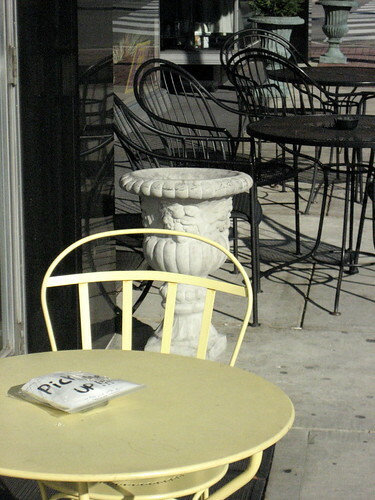 Photo Pro Magazine – featuring the Disposable Memory Project, originally uploaded by Disposable Memory Project. 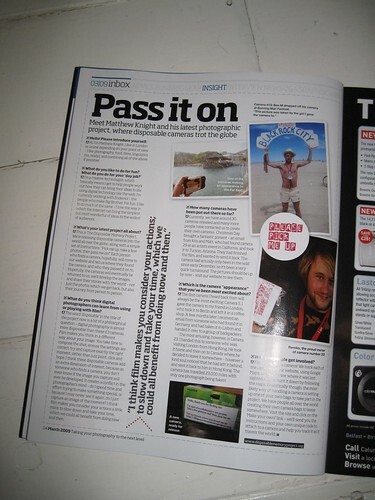 Photo Pro Magazine are featuring the Disposable Memory Project in their March 09 Issue. Featuring stories about some of the cameras and some pictures from our Flickr account, the article is a great piece, and covers the project well – here’s hoping we’ll hear from the magazine’s readers wanting to get involved. Internal Mail, originally uploaded by webponce. Toying around with a new idea today. 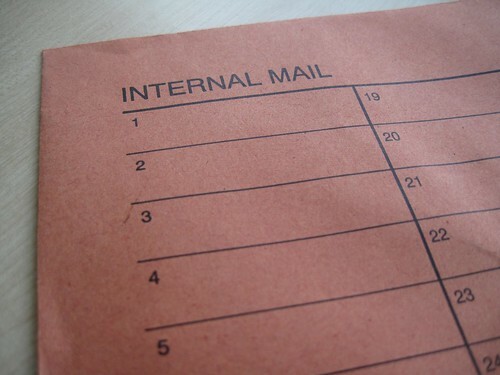 Internal Mail (http://internalmail.foundacam.com) is an offshoot of the Disposable Memory Project, where if you work in an office or company which uses internal mail, you can use the system to send a camera around your organisation. Instructions are on the site, but maybe it might create some interesting photos, and hopefully one a day! Meandering Camera, originally uploaded by webponce. 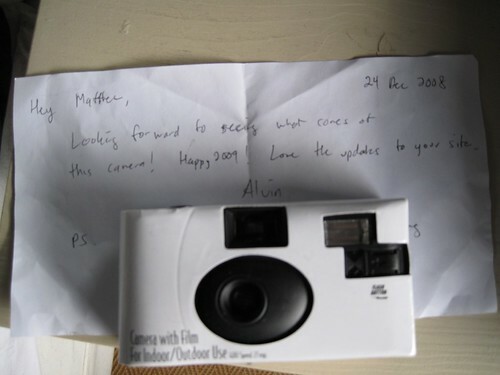 I received my very own disposable camera this morning. Alvin over at MeanderingCamera.com is running a project “inspired by” ours, and already has some great images back. This being the first time I’ve received a camera to do with what I please myself, I’ve started feeling the weird sense of ‘ooh, where to take it’, and more interestingly, ‘i don’t want to give it away! what if it gets lost?’. I’m sorry if I’ve put you through this too! Check out his site, and say hello from the DMP.